Yomitan is a quiet village located on the west coast of Central Okinawa with roots in traditional arts such as pottery and weaving. Discover local specialty items and enjoy the fresh seafood and beautiful scenery while visiting Yachimun no Sato, a theme park based on the Ryukyu Kingdom era that draws flocks of visitors from around the world because of its unique style. Note: Please be sure to allow plenty of time when planning your trip by taxi, rental car, or bus, as travel times may vary depending on traffic and other conditions. Explore studios of pottery and Ryukyu glass and find the perfect souvenirs. 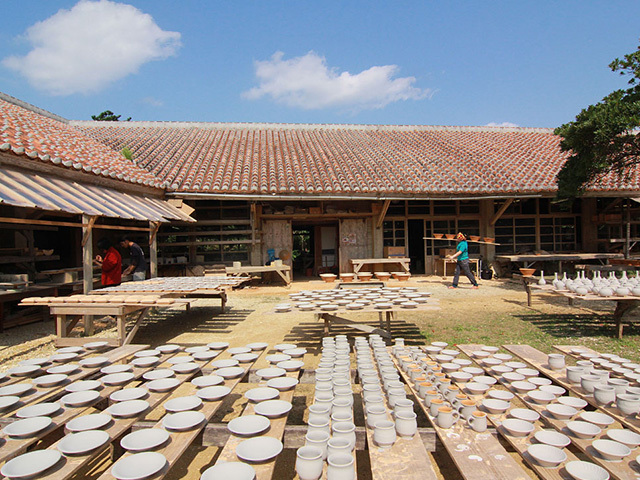 Okinawan pottery is known as yachimun. Yachimun no Sato is a community of yachimun studios, located past a residential district, situated in nature with a gentle breeze. The studios house impressive climbing kilns, including the kiln of Jiro, and each studio has a dedicated potter making pottery. The works of all of the studios are displayed and made available for purchase at the gallery as well as the market. There is a wide selection of items at reasonable prices that are sure to delight collectors of pottery and folk crafts. Toya Fishing Port has fresh Okinawan shorefish. 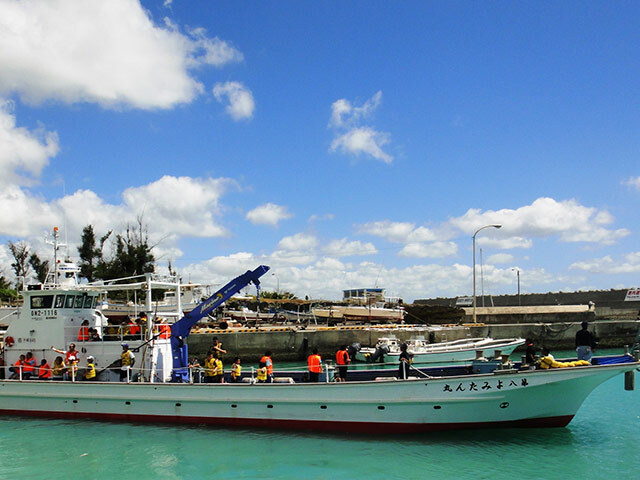 Visitors can watch the auction held after the catch and enjoy Okinawan seafood at the fish market and restaurant, Iyu no Mise, as well as the restaurant located off the port, Yomitan Seafood Restaurant, both of which serve fresh-off-the-boat seafood. Menu items are served in large portions at a reasonable price, a deal you will only find at a fishing port and popular among locals too. The tempura using fresh seafood is also recommended. The uniquely thick-battered and soft tempura commonly found in Okinawa makes a perfect snack on the go. A theme park based on the 15th century Ryukyu Kingdom era. The traditional houses and impressive buildings were laid out in the park in a way that they resemble the streets of the era that developed a prosperous dynastic culture. 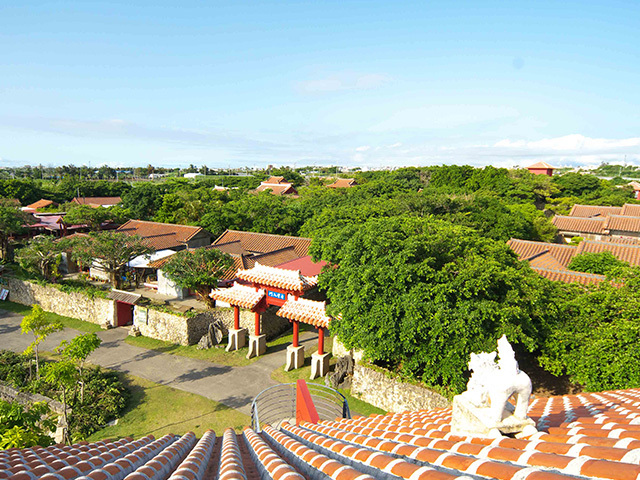 Along the stone pavement made of Ryukyuan limestone are buildings with red roof tiles that house 32 different studios offering a selection of 101 cultural experiences, including Ryukyuan indigo dyeing, shisa crafting, and glass-blowing. There are also restaurants, a bathhouse, and lodging facilities in the park to allow guests to unwind as they please while they relish the elegance of the Ryukyu dynasty. Started as part of an effort to revitalize the village through purple sweet potato farming in 1989, Beniimo no Sato was officially recognized by the prefecture in 2004 as the center of sweet potato farming. 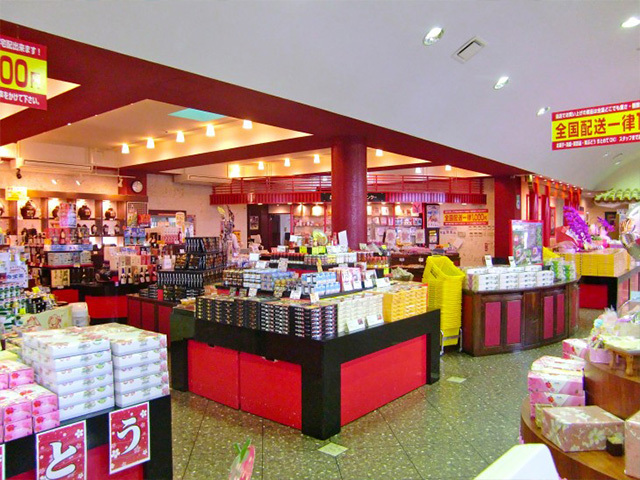 At Okashi Goten, the makers of the original Beniimo Tarts, which are popular sweets made from purple sweet potatoes, the local specialty, you can find an assorted variety of products made from purple sweet potatoes as well as other specialty ingredients from Okinawa. From inside the store, you can also watch the production process in the factory through glass windows for extra entertainment. Also located on site are Hanagasa, a café with specialty sweets, and Hanagasa Soba, where you can enjoy soba made with purple sweet potatoes. This is a great place to take a break. 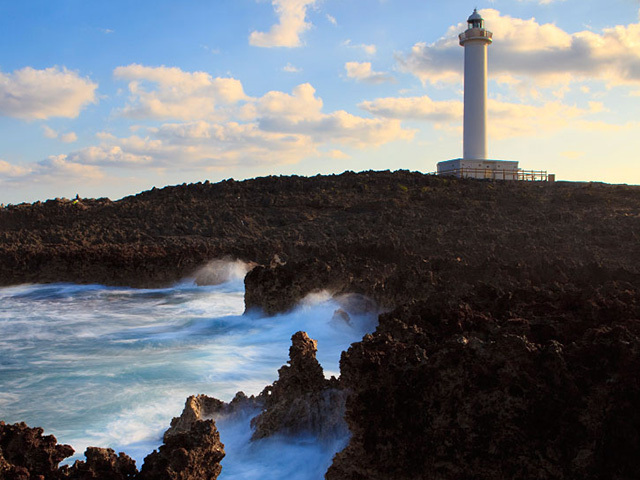 The white lighthouse at the tip as its landmark, Cape Zampa is roughly 30 m above sea level and made up of 2 km of sheer cliff, offering a spectacular view. The observatory area offers a view overlooking the East China Sea with an expanse of the beautiful blue sea. It is also a popular spot for diving and surf-fishing, and you can even see Aguni Island, Tonaki Island, and Kume Island on a sunny day. The sunset is equally stunning, and watching the scenery change over time is another way to enjoy this site. You can find a wealth of activities nearby at Zampa Beach, and there are also lodging facilities.